The top photo shows a baroque building called Riddarhuset built in the 1640s. It was the House of Nobility or the Knights’ House until 1866 when noblemen lost their power to the country’s new parliament. 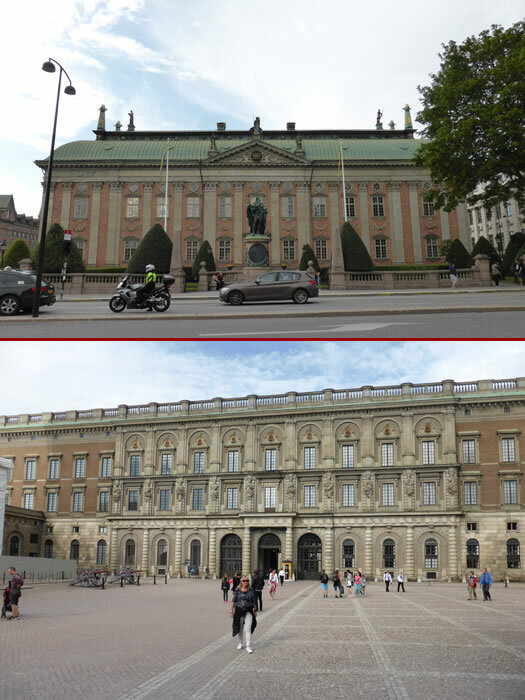 The bottom photo is the Stockholm Palace built on the site of an old Swedish castle from the 1200s.